This is one of those really fun projects. The kind of project you look forward to a few times a year. 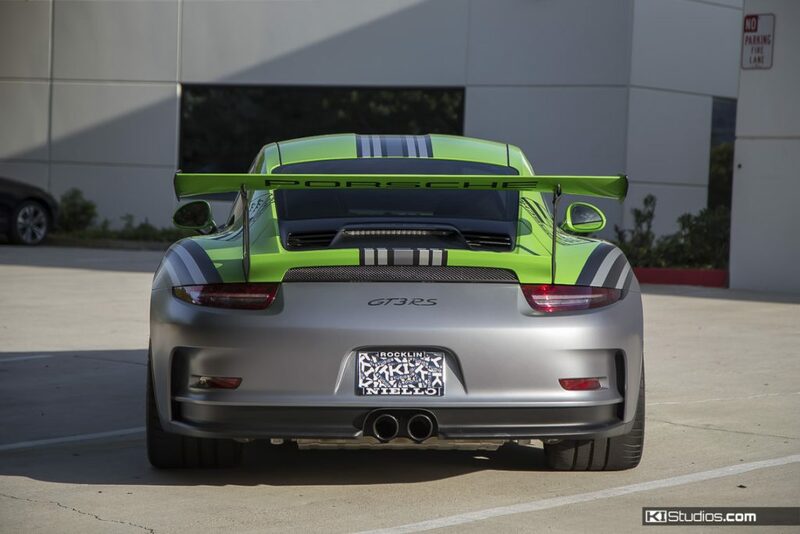 This is a Porsche 991 GT3 RS that started life as Ultraviolet Purple. It’s not so purplely anymore. In fact, it’s green. Avery Dennison Supreme Wrapping Film Gloss Grass Green to be exact. 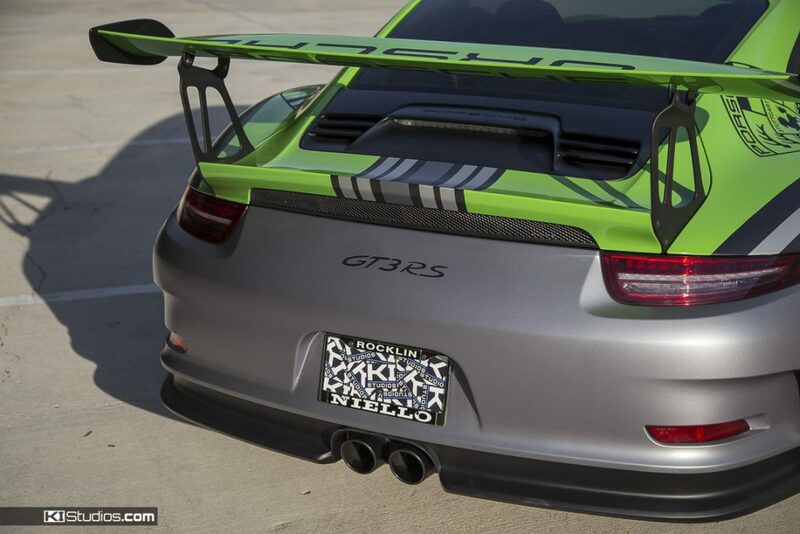 The owner of this 991 GT3 RS also owns a 991 GT3 Street Cup car. It’s not just any GT3 Street Cup either. That 911 Street Cup car is inspired by Magnus Walker’s 277 car. Here’s a photo of the that 277 by Ted 7. This one was done up by our partners Protective Film Solutions in Orange County. 277 P-Car – TopOfTheCar.com by Ted 7. 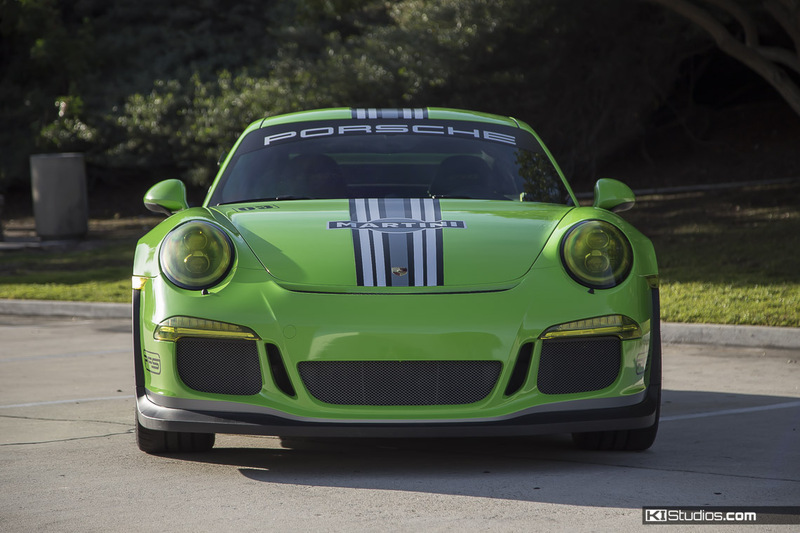 The Green Martini 991 GT3 RS in this gallery was originally supposed to be a grey car. 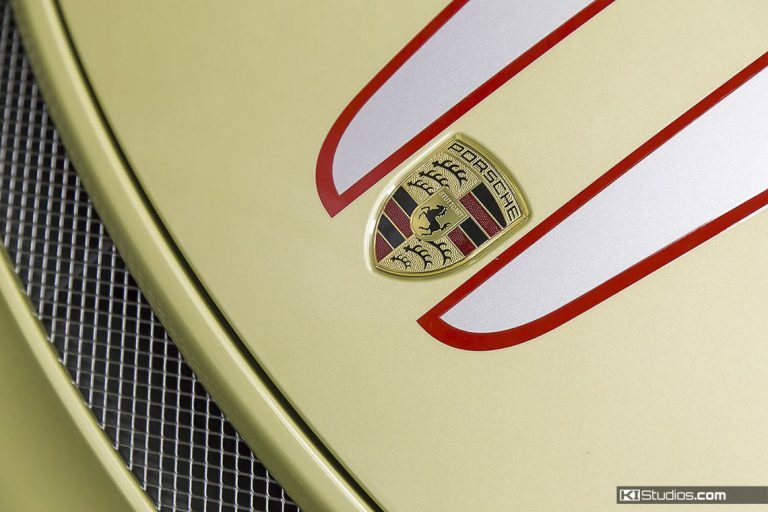 The owner already had a deal setup up with the Porsche dealership and something happened and the deal fell through. The end result was the Ultraviolet Purple car underneath this wrap. 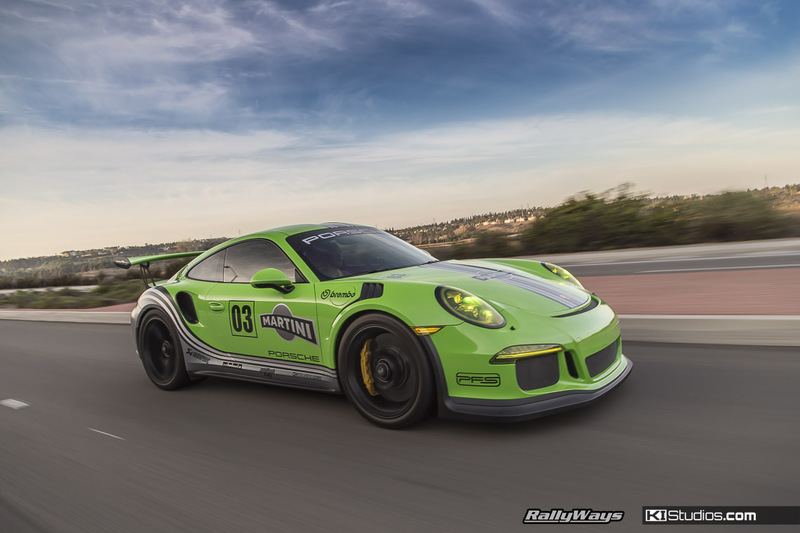 The briefing by the car’s owner said that he wanted a Martini theme, but in monochromatic colors all on top of a bright green base. 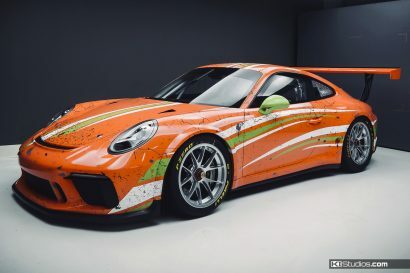 The hash tag #BUTDIDYOUDIE would be cleverly hidden in the wrap itself by placing vinyl cut decals under the wrap so that the outline would show though. 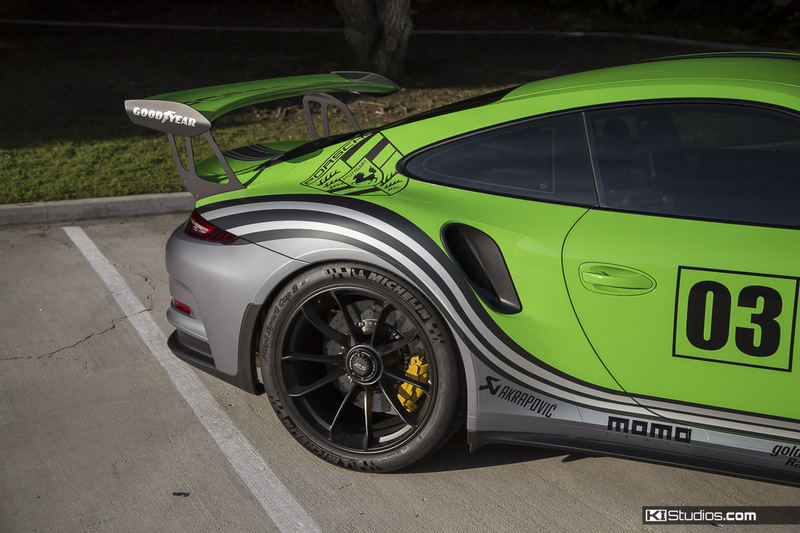 The basic gist of the wrap meant the entire car would be color-changed from purple to green. Then the printed stripes would be placed on top along with all the brand sponsor decals. 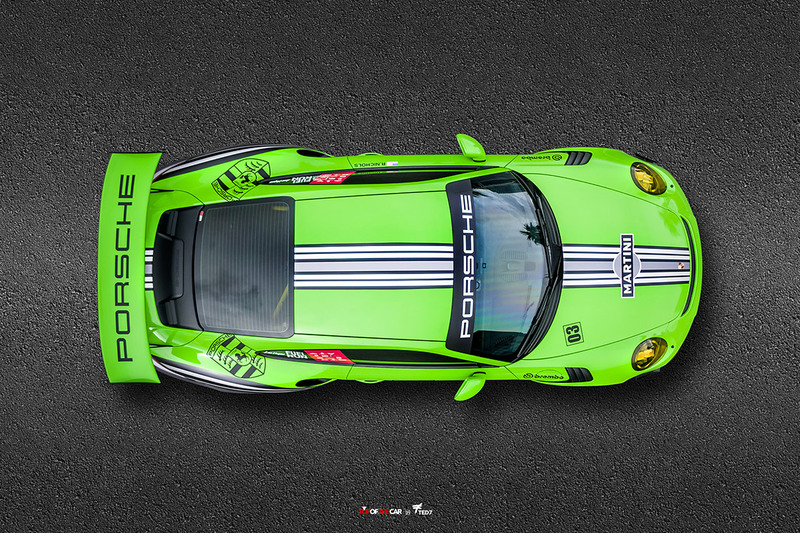 Green Martini 991 GT3 RS – TopOfTheCar.com by Ted 7. A few days later we had the car completed. The result was as stunning as we imagined it, yet more. The combination of monochromatic decals with the bright green base is really pretty stunning. 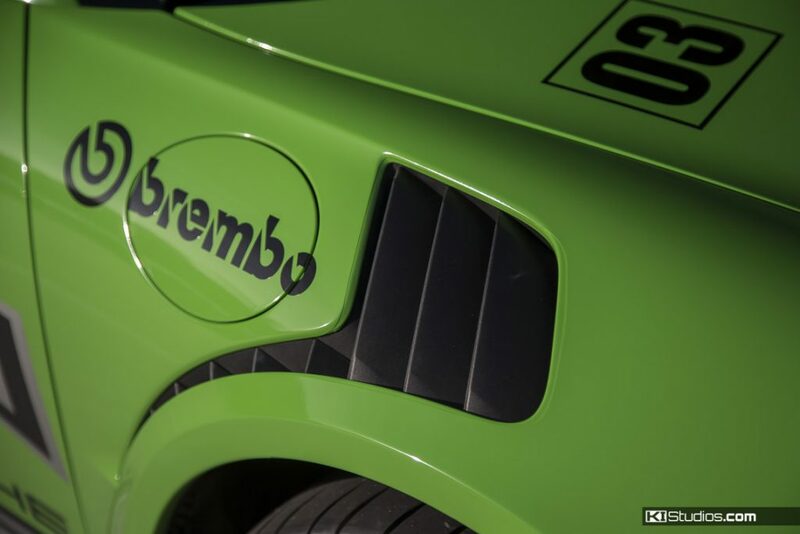 The green makes it so the black and white of the decals doesn’t allow the design to look boring. 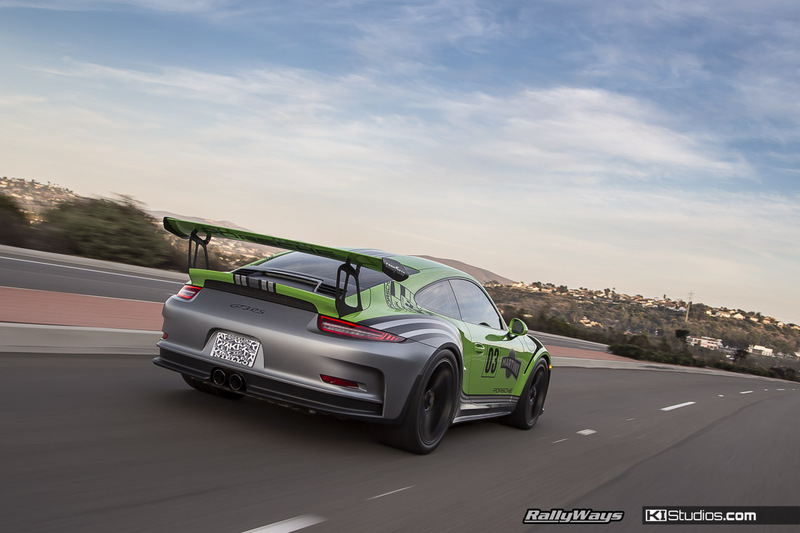 Yet, that same black and white keeps the look in check and allows the design to be a lot more cohesive than most motorsport-inspired liveries. The yellow headlights complete the motorsport look. 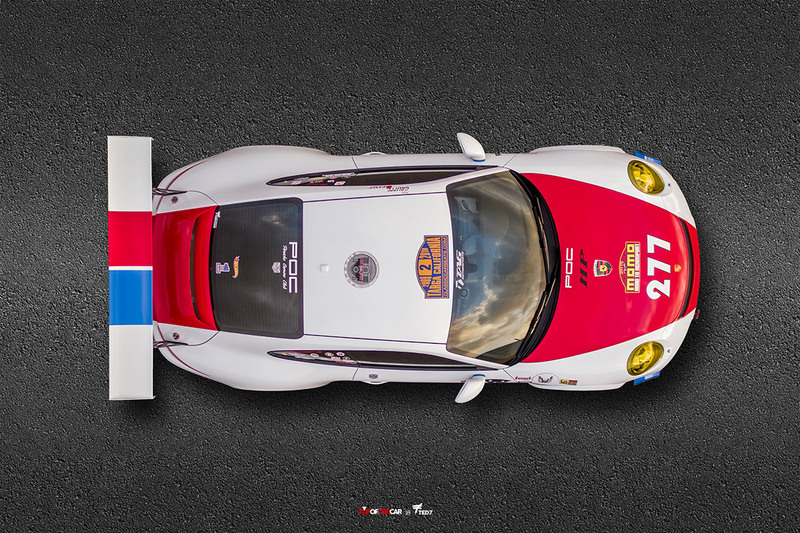 If you are interested in seeing more wraps like this, check out our racing liveries. The overhead shots of the 277 Street Cup and the Green Martini GT3 RS are by Ted 7 for his project Top of the Car. The rolling shots are by RallyWays.